Can you remember the first time you went to a concert or a musical? Were you a child or a teenager or even a grown up? Do you remember that jaw dropping awe you felt in response to the mind-blowing explosion of sensations caused by the dimming and resurgence of light and the way the amplified sound felt like it was literally coursing through the veins in your body? You just can’t beat that very first experience! 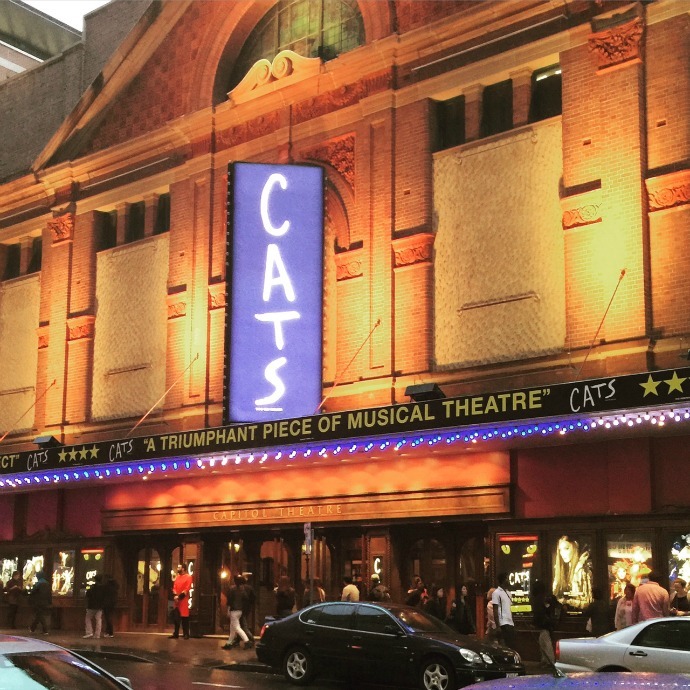 This week I was so honoured to witness my ten year old Sam experience it for the first time himself when we were invited to see the new Cats Musical at the Capitol Theatre in Sydney. He was so excited about our ‘date night’. A mid week evening excursion to the city, just him and me and the chance to see a proper grown up musical of all things, a musical that didn’t involve him and a couple of hundred school mates dressed up in makeshift costumes. So excited was he in fact that he took great care in putting together his outfit for the evening. No t’shirts and boards for this fancy dude. Nope he was going all out with a “proper going out shirt mum” and a tie to boot. “You don't need to wear a tie sweetheart” I gently explained whilst trying so hard to hide my bemusement at his enthusiastically styled outfit. No really! The memory of his little face and voice alone is enough to threaten my heart to explode mushy motherly love from here to kingdom come. So swollen is my heart at the mere memory of his little face smiling at me. You see ‘Date night’ is very special in our family. Date night is not just reserved for the hubby and I… it is also what we call the one on one time I spend with each of my little gentlemen. No matter whether we spend our time having dinner, or a movie or simply an ice-cream and a walk, It is precious alone time with my precious people and something I cherish more than anything in the world. This was an extra special date night, because this particular night he and I were going to experience his very first musical together and to be honest, I don't know who was more excited out of the two of us. When we walked into the beautiful old theatre, he held my hand tight and I could visibly see his chest puff up. He was well and truly out of his comfort zone, what being in a strange place with a whole load of strangers around him. It’s not typically a situation my anxiety ridden little man likes to put himself in, and yet here he was, eyes as big as saucers, guiding me towards door 4 and the stalls where our seats were waiting. Popcorn firmly clutched under his arm and his program under the other he waited for me to be seated before he sat down next to me and looked around in complete wonder. Not long after the overheard lights began to dim until we sat in darkness. Then the orchestra began and the stage lit up and his anticipation was literally palpable. All of a sudden, the people around us squealed as the ‘cats’ emerged from the audience and made their way to the stage and Sam strained his neck from left to right and back again as he tried to see where they were coming from. The music got louder and the stage lights got brighter. You could feel everyone’s excitement rising and rising and rising until everything kind of went BOOM all at once and the show had officially begun. I could feel his pulse thumping in his hand as he squeezed mine and he gave me a look I will never forget in this lifetime or beyond. 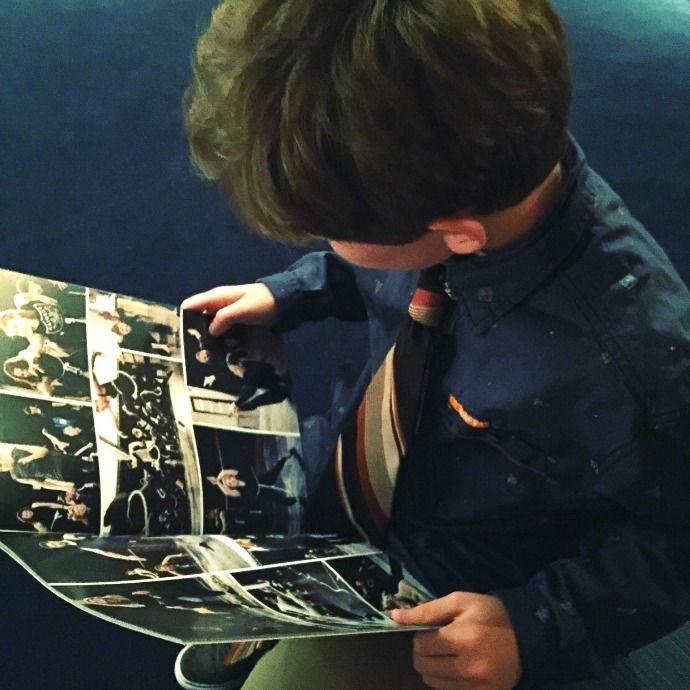 “This is awesome mum” he whispered before I lost him to his very first musical. This was my first time seeing Cats too. I’d heard so many incredible things about it the last time it first debuted back in 1981 at the New London Theatre… but honestly, everything I heard did not do it justice. Everything you hear about how awesome the incredible costumes are, the beautiful soul moving music by Andrew Lloyd Webber, the awe inspiring staging and fabulously talented performers is all so very true, but simply do not do this show justice. 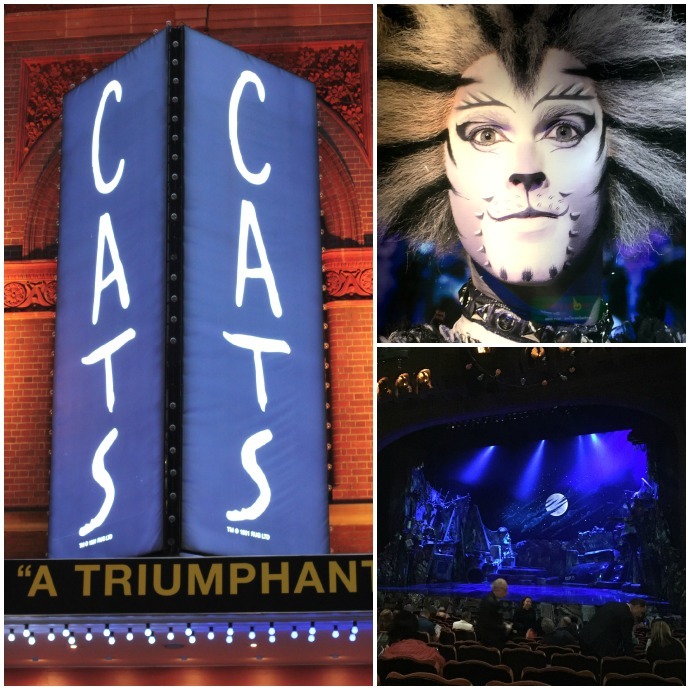 This is something you need to experience for yourself to truly appreciate how magical Cats the Musical is. 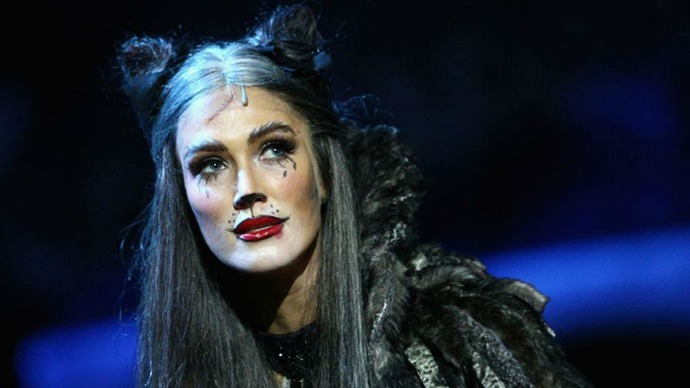 Delta Goodrem is absolutely phenomenal as Grizzabella. That girl sure can sing! The way her beautiful voice cut through the air in the theatre as she sang Memory, gave me utter goose bumps. I kid you not, I was goosing up all over the pace because she was that incredible and then some. The fact that I was listening to her sing in one of the most beautiful theatres in Australia, if not the world, was something that certainly wasn't lost on me either. Andrew Lloyd Webber’s record-breaking musical CATS is now playing in Sydney followed by Hobart, Melbourne, Brisbane, Adelaide and Perth for a strictly limited season. You can book your tickets here and if there is any way you can get yourself there… well I suggest you do whatever it takes. Believe me, this is something you will not forget in this lifetime. As for my date… well that was one night he’s not going to stop talking about anytime soon. In fact I am pretty damn confident it will be one of the evenings he will never ever forget in his entire lifetime. And I am so happy I got to share it with him. It will be a lucky lady that one day wins this little guys heart. And if he puts on a special tie for her and squeezes her hand with unbridled joy like he did mine… well I am pretty sure he can count on winning her heart too. What was your first musical or concert you went to? Have you experienced a first like this with one of your kids too? 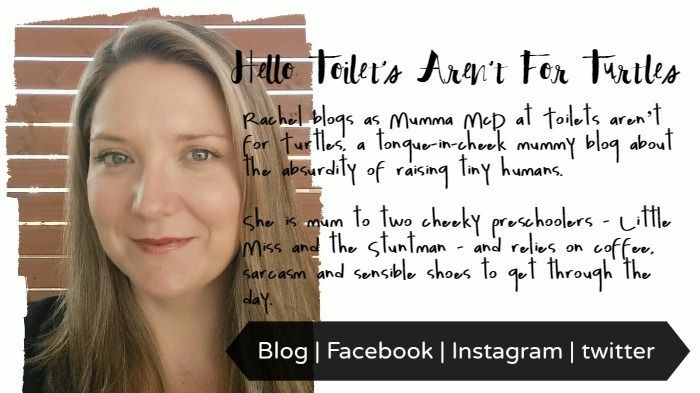 OK so our Weekend Rewind Guest hosties are back and this week we have the gorgeous Mumma McD (Rachel) from Toilets Aren't For Turtles. Make sure you pop on over and say a big fat hello!